New season starts on January 3rd, 18.30, welcome! Karate is a hobby activity for all ages, what is needed is a positive attitude and willingness to learn. Our club is providing training in traditional shotokan karate for kids and adults at Vaapa-Aika keskus hall no 106, Hervanta. Shotokan karate is the most famous style of karate with strong and powerful technologies which has proven its effectiveness as a self defence method for even real-life situations. Shotokan Karate teaches a balanced way self defence using once own body developed as weapons over years of practice. 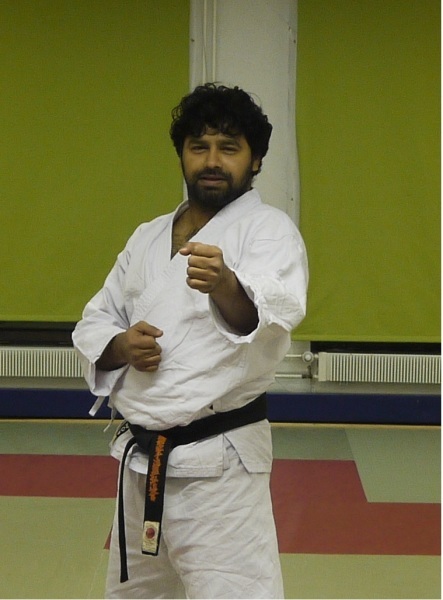 Originally from India, living in Tampere since 2011, been a student of Sensei Willy Oritiz from then. Started learning karate from childhood, student of Sensei KV Subramanian in Bangalore and graded SHODAN by Soke Hirokazu Kanazawa. Also practicing Taichi for more than 7 years, learned traditional Indian Stck fighting as a child. Come and join the class where you wil sweat, learn martial art and will surely have fun!